• The holiday season is a time full of parties and festivities, but that also means more buzzed and drunk drivers are on the roadways. • With the excitement of holiday celebrations, party-goers might find themselves “buzzed” after having just a drink or two—and without a sober ride home. • According to the National Highway Traffic Safety Administration (NHTSA), in the month of December 2015, 840 people lost their lives in traffic crashes involving a drunk driver. • From 2011 to 2015, 3,983 people were killed in December crashes that involved drivers with a blood alcohol concentration (BAC) over the limit of .08. • Law enforcement actively looks for drunk drivers around the holidays. Once you start drinking, never get behind the wheel. Remember: Buzzed Driving is Drunk Driving. • Too many people wait until after they’ve started drinking to figure out how they will get home, but by then, it’s too late to make a clear-headed decision. • Just one drink can impair your judgment and increase the risk of getting arrested for driving drunk—or worse, causing a crash if you get behind the wheel. • Many factors determine the effect alcohol has on your body, and it can vary depending on factors such as your weight and when you last ate. Drinking and Driving Will Cost You—Possibly Your Life. • Impaired driving creates tragedies all year round. According to NHTSA, 35,092 people were killed in motor vehicle traffic crashes in 2015, and 10,265, or 29 percent, of those fatalities occurred in drunk-driving-related crashes. • Even if you have had just a little to drink, you risk causing a crash or getting arrested for a DUI. • If you are convicted of a DUI, you could face jail time, the loss of your driver’s license, higher insurance rates, and other expenses including attorney fees, court costs, car towing and repairs, and lost wages due to time off from work. There’s also the embarrassment, humiliation, and consequence of telling family, friends, and employers of your arrest. • The average DUI costs the offender about $10,000. The costs for public transportation, a taxi, or a shared ride home are cheap compared to the cost of an arrest. Plan a Safe Ride Home Ahead of Time—This Holiday Season and All Year Round. • Planning ahead is the key to staying safe after you’ve been drinking. While you’re making plans to attend holiday parties and celebrations, also make a plan for how to get home safely and to stay out of jail. A sober driver is an essential part of any plan that includes drinking. • Give yourself and your loved ones the gift of a designated driver to help stay safe this holiday season. 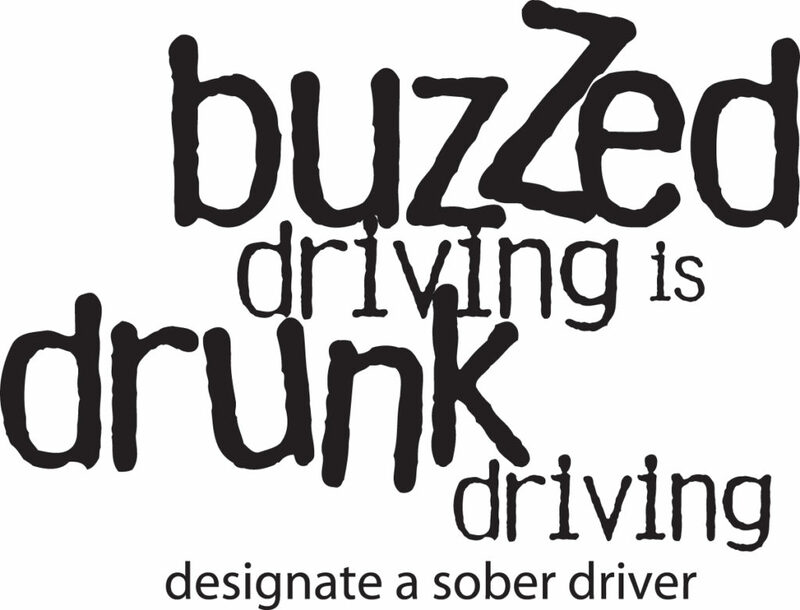 Before you start drinking, designate your sober driver or plan a safe ride home. If you will not be drinking, offer to be a sober driver for others who will be. • If you have been drinking and need a sober ride home, there are many options. Call a taxi or a sober friend or family member, or use public transportation Also, try NHTSA’s SaferRide mobile app, which allows users to call a taxi or a friend and identify their location so they can be picked up. • Help those around you be responsible, too. If someone you know is drinking, do not let them get behind the wheel. If you see someone who appears to be driving drunk, call the police. Your actions could help save a life.